Mick Schumacher, the teenage son of ex-Formula 1 world champion Michael Schumacher, will race in Formula Two next season, ending speculation he might skip F2 and step up to F1 in 2019. "For me, this is a logical step, because I want to continue to improve my technical experience and driving skills" the 19-year-old said in a press release issued by his Italian team Prema Racing. The confirmation pours cold water on speculation he would leap up to F1 in 2019 after winning the European Formula Three title in October, but he has made no secret that he one day wants to race in the top tier. After dominating the second half of the F3 season by claiming five straight wins, Schumacher's title win meant he qualified for a FIA 'super licence' - a prerequisite for the jump to F1. Bearing one of the most famous names in motorsports is not always easy for the German, who started out racing as "Mick Betsch", using his mother Corinna's maiden name to avoid bringing attention to himself. 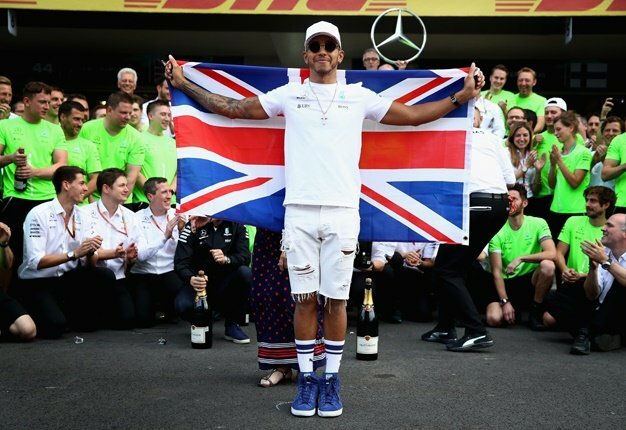 World champion Lewis Hamilton has already said he is "100% certain that there will be another Schumacher in F1" and backs him to follow in the footsteps of his father, who won seven F1 titles. "I have no problem being compared to my dad, because my dad is the best - that's why he's my role model," Mick Schumacher said in an RTL documentary. "Even other world champions compare themselves with my dad." However, his father's condition remains a mystery as the fifth anniversary approaches of his skiing accident. Michael Schumacher, 49, has not been seen in public since suffering head injuries during a accident on December 29, 2013 while skiing with Mick and his condition is a secret closely guarded by his family. I'm a 45 year old man looking to meet women between the ages of 30 and 50.